The RDS-1500 provides an easy method to objectively read, store, and analyze results from lateral flow assays. It is very easy to use and the screens guide you through the whole process. 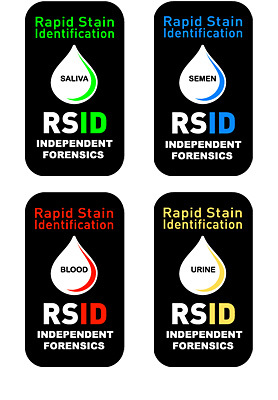 First, you turn the unit on and use the provided stylus to choose which RSID test you are going to analyze. The next screen asks the user to input the sample name. The following screen tells the user to insert the cassette (using a simple Universal diagram). The user inserts the cassette and waits for the green light. The green light insures the cassette was inserted correctly. Then the unit analyzes the cassette by capturing an image of the test and analyzing the dark pixels according to the given threshold value. After a few seconds, the result window will read that the given sample name is positive, negative, or invalid. The user can also choose to view the results page which will show all the tests performed, sample name, test name, date and time of the analysis, and whether the test was positive, negative or invalid. 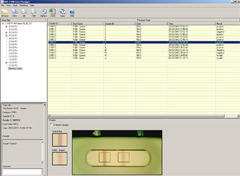 If the user clicks on one of the displayed lines, they can view the captured image of the test. At the end of the day, the reader can be placed in its cradle and the information can be downloaded using the data manager software. You can connect the Reader via USB to your PC. 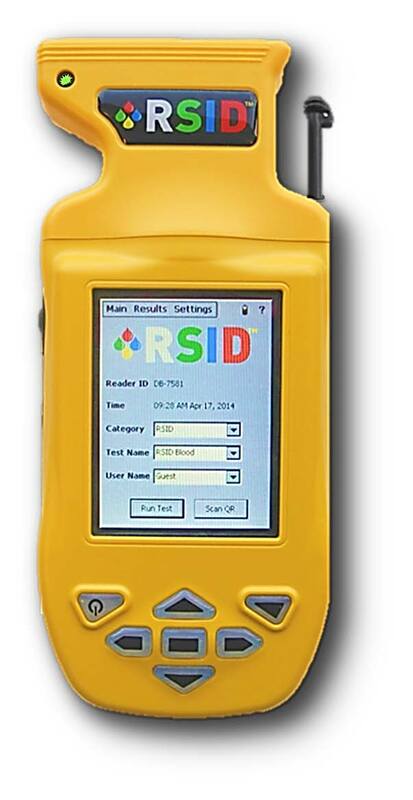 All data can be transferred to the RSID-1500 Data-Manager. 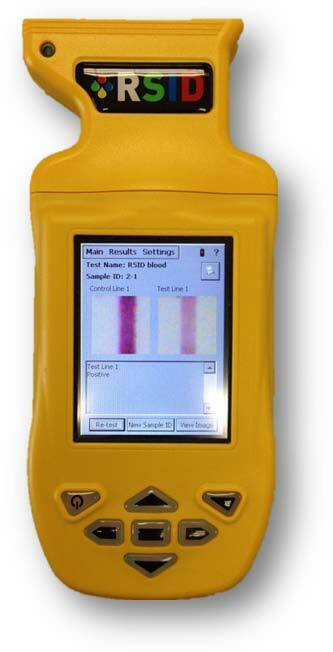 The Manager allows you to get an overview concerning all samples including Name, Sample ID, Time, User, Result and the the pictures of the control line and test line. All data can be exported to Excel.The Reader uses Windows CE.